I have been drooling over all of the baker’s twine projects I’ve been seeing lately. Haven’t you? It comes in SOOO many delicious colors, and can be used in a multitude of ways. I’ve entered several giveaways in hope that I’ll be able to add some to my craft collection, but I’ve yet to win. It’s okay thought. I decided to make my own, because I’m cheap thrifty. And if you are walking down the same thrifty path as me, you can make your own too! I picked up the white string at the Wal-Mart for $2.97 I believe. The cute spools came from The Plaid Barn (more on this site soon!). (I covered my ruler in masking tape to avoid the marker adding a little necessary decorations). I’ve found the quickest way to do this is to hold the ruler in one hand and wrap quickly with the other…then push the string up the ruler to make snug! Then, you’ll need to choose one of your Sharpies (or other permanent marker). And color several straight lines. Now, find a way to store your DIY Baker’s Twine. I ordered these wooden spools from The Plaid Barn. However, my sister thinks she has seen them at Hobby Lobby. And repeat in several different colors. 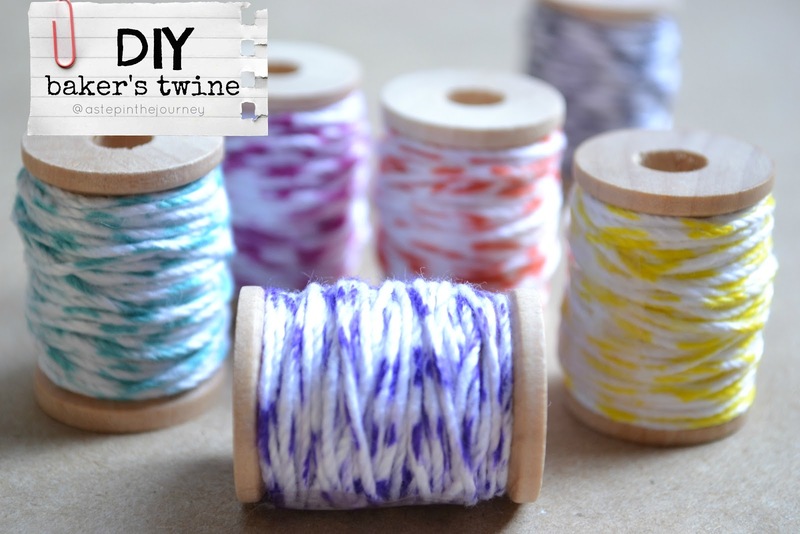 I created the baker’s twine I used in both projects below following these easy steps! Chantil recently posted…I know I know! Brilliant. And I love that this is a cheaper alternative. I’m very grateful to you for the idea. Thank you. This is GENIUS! Thanks for sharing! Hope you link this up to my new linky party as well. Great idea! In the spirit of recycle/upcycle: instead of buying new wooden spools for your baker’s twine, use old wine corks. They work very well. Use an exacto knife and cut a small slice in the top of the cork to hold your starter (loose) end of the twine. Thanks for such an economical solution to spending $$$ on baker’s twine. Thank you so much forsharing this wonderful idea. I will definitely try this! Wow! So cute! Looks so easy and cheap! Must try. Do you think you could do this with dye and white yarn? Just ran across this tutorial – how clever!!! It's awesome! Thanks so much for sharing! I just popped over from Blogher. I love that you made your own twine in colors. I have been buying a bunch of it and it is not cheap. I can't wait to try this. I use it on my cards, tags, giftbags and other packaging I do. Great for using with buttons etc. Thank you! Wow, this is awesome!! Thanks so much for sharing!! I came over from Dollar Store Crafts. 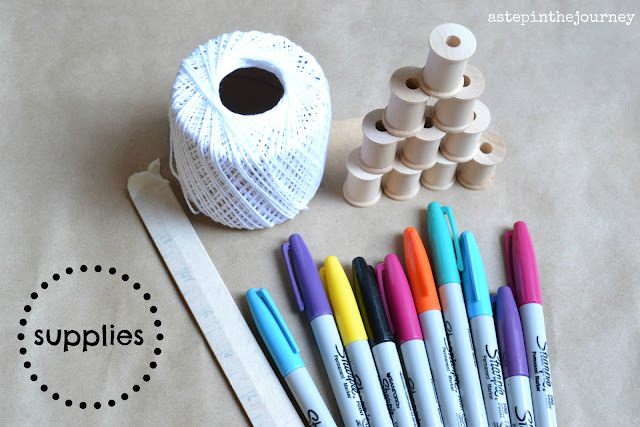 I love this as I have a ton of crochet cotton and sharpies. Off to play now. What about just using a paint stir stick so you don't worry about marking up the ruler? Such a wonderful idea! Now all my projects can be color coordinated! Thanks do much for sharing! Smart cookie!! Fabulous idea! Thanks! Oh thank you for making a tutorial! I've heard about people making their own bakers twine, but have yet to see how they did it. I can't wait to make some of my own – and I can make colors to match or coordinate with my cards! WOO HOO!!! Thank you bunches! SO cool! And so easy! Never would have thought of it, but I think I have some of the thread and will be trying this one TODAY if I do… thanks for sharing! LOVE this! Imagine all the colors you can mix n match! just like every one,I've ben drooooooooling at these bakers twine but they are sooooooooooooo expensive at Micheals so I just drool and said never mind but with your idea I can have as many as I can make.Thank you a gazillion times. Thanks for sharing this. I too have entered several contests in hopes of winning some baker's twine but have not won. I am on a very tight budget and this will help a lot. So easy! Can't wait to give this a try. We'd love to have you link up at our Fab not Frab Fridays Party. I can't wait to try this!!! Thank you! How nifty! :) I think I will give it a try. Oh! I was going to order some of this…not now!!! Fantastic!!! Very, very nice! I have used markers to maked colored raffia for projects when I only needed a “dab”. Plus you can have tons or colors, varigations, and effects without having to fork over any additional money or having to store a big jumble of raffia!!! Thank you so very much for sharing this incredibly ingenious idea! I need just about 24″ of green and white to make some cards tonight and didn't want to make a stop at the craft store. No way would I have been able to run in there and buy JUST THAT, and secondly, I am sure it would have been much more expensive! I bought a large roll of the cord that you use to lace the turkey legs with before cooking. It is a tan color. I got it from the family dollar store. I rap it around a round glue pen I got from good will. Then I color it with the mark it markers. Works great and gives it a more country look with the tan thread. Oh my gosh, I love this! Please post this as an Instructable (www.instructables.com). I know our audience would LOVE it. Love this idea. One question: Did you use “twine” or “string”? Could you use crochet thread instead? I have so much white crochet thread on hand and can't find string anywhere, not even in the hardware store! I'm going to give my way a try, but thanks for the idea!! oh and by the way… how does that Linky Party thing work… ??? I`m new in Bloggerland and would be so glad if you would be so kind to explain me this…. I found it somehow very interesting but my english is too bad to understand the whole thing… HELP !!! These little spools turned out so cute. I love all of the different colors. Plus I just bought a big pack of sharpies so I definitely have to make some for myself. Thanks for sharing. This is being featured this week at Lines Across. FANTASTIC!!! I almost bought bakers twine at Michael's today, but it's expensive for such a small amount! 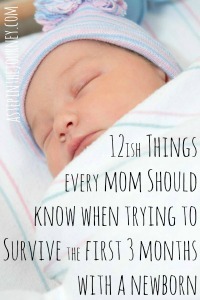 SOOOOO glad I came across this post on Pinterest and passed on Michael's! You are genius! Genius! I've been looking for bakers twine in a certain color and have not been able to find it! This is a perfect idea!! Love it! I saw someone else do this years ago. You really should give them credit. She may not know who you are talking about. Maybe she didn't see the same post as you. When you think about it, it's kind of a “common sense” idea. I'm wondering why I never thought of it before! Really, You seen some else do this years ago so She should give them credit. That sentence doesn't even make any sense at all. So simple & cute! Thank you for the tutorial! This is one of those “how did I not come up with this” moments. Genius. Love them! Great post. I've been looking for colored baker's twine and just could not find it where I am. I'm pinning this. Great post. 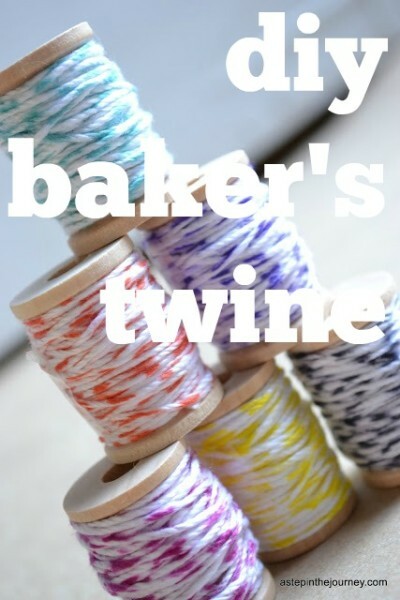 I've been looking for colored baker's twine and can't find it where I am. I'm pinning this. This is so clever and fun!! Brilliant! I love it and will be trying it myself. I am so doing this – right now. I have everything I need. You are so clever. Found you via Donna of FJI on Pinterest. You are a genius! I'm stopping by from Craft-o-maniac! These are so cute you could just use them for display if you wanted to! This is the cutest idea! Love this & so glad that I found your link @ Craft-O-Maniac's linky party! Would love to have you visit my site, soon! This is such a great idea! So simple, but with such a pretty turnout! What a great idea. I love baker's twine – but not the cost of it. This is such a great idea – and there is SO much you can do with bakers twine! We'd love to see this project at our Beautify It Monday link party which opens tonight at 5pm! Love this post. What a great idea. Would love for you to share on Simple & Sweet Fridays. Everyone will love it! New Follower. You DID IT! It looks great and way way way cheaper than buying the fancy shmancy stuff.I would be super excited if you linked up over at my Anything Goes Link Party going on from 6 MST Friday till midnight Monday. Awesome! Thanks so much for sharing…..I think I'll go make some now! My daughter has ton's of those sharpie markers!!! Popped over from 30 Handmade Days link party. What a genius idea! Thanks for sharing! AWESOME!!! You are a genius! Thank you for sharing your tutorial! cheap. no. resourceful. yes. love this idea. do come share it with our peeps: http://www.finecraftguild.com/party/ you'll love to participate in our parties. best entries are featured in following week. YES!! I was just looking online yesterday and decided I didn't need baker's twine bad enough to pay what they wanted plus the crazy shipping costs. You're a genius. Can't wait to make my own. Thanks for the tutorial. GREAT idea! I've been hoping some pretty bakers twine will magically appear in my craft box, but it hasn't happened yet. I need to make some! Um. I'm in love with you for bestowing this knowledge on me. I too am too “thrifty” to buy the real deal but LOVE the look. That is just too cute! What a great idea. I followed you over from Lil' Luna Link Party and this is the best crafty idea I've seen in a long while. I love that you made it so simple. thank you for this awesome tut! Brilliant! I can't wait to try this. I also have been too “thrifty” to by the real stuff. It never occurred to me to make my own. Thanks so much for sharing! Awesome tutorial. Thanks for sharing. This will be pin to my crafts board. Awesome! i was just looking for these last night but couldn't find the perfect color to match my Diesel + Juice branding. Making it myself is a fool proof plan! Love it! how darling! 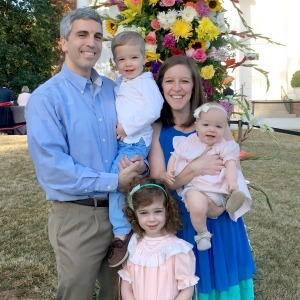 great pictures…so bright and fresh and just plain HAPPY! LOVE, LOVE, LOVE this! Thanks! BRILLIANT! I'm featuring it over at Sugar Bee Crafts tomorrow! Hello from your newest follower! What a great tip! Save me some pennies being able to have any colors I want in a jiff! Hope you'll stop by and visit! You're a genius! And then you get exactly the color you want, so that's perfect. I went over to the Plaid Barn because I'd never heard of it and signed-up. I love Pick Your Plum, so am excited to find another site like it, thanks! You need to check out Mindy's Minute Market, too, they have some awesome deals!!! Of course , yes! LOVE! twine is my packaging, go to, need to have , staple! You have just saved me tons of money! Thanks! What a great idea!! These are bright, colorful, and so much fun! And the price…so much easier to swallow! I agree. Great idea and turned out super cute. I love the light blue colour! Cool idea, and it looks really cute!